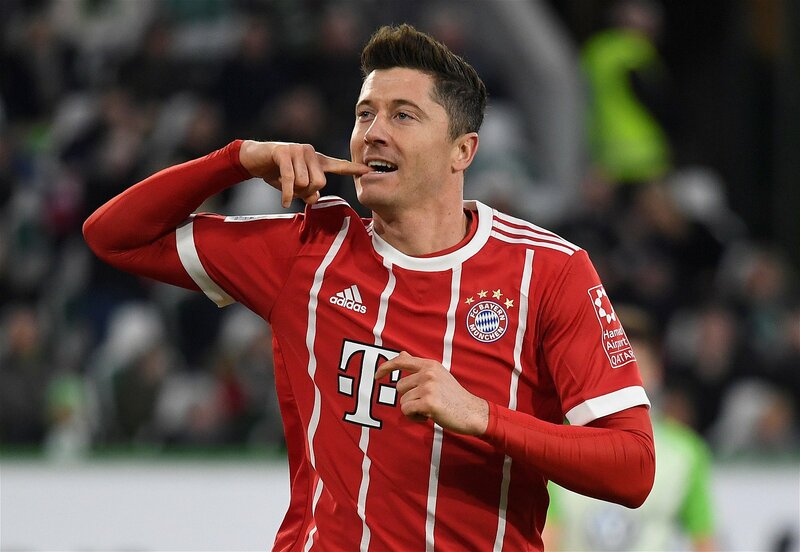 According to Italian media source CalcioMercato, Bayern Munich are ready to sell Manchester United and Real Madrid target Robert Lewandowski this summer, and Chelsea must join the race to sign the Poland international as an upgrade for Alvaro Morata, whom fans on Twitter have urged to leave the club after links to Juventus. Well, CalcioMercato report that the Bundesliga champions are willing to let the 29-year-old striker, who is rated at £81m by Transfermarkt, go at the end of the season, as they look to freshen up their squad to try and dominate in the Champions League again. Lewandowski’s contract is due to run out in 2019, and CalcioMercato says that they would rather change things now and sell him for a fee rather than risk losing him for free next summer, with United and Real both keen. Meanwhile, Chelsea striker Morata has often struggled at times this term following his summer move from Real – being overshadowed by January addition Olivier Giroud in recent weeks – and the west London outfit may look to find an upgrade for the Spaniard during the close season. How has Lewandowski done this season? He has been brilliant, again. The Pole has scored a remarkable 40 goals in 46 appearances in all competitions for Bayern – providing four assists on top – and he has averaged a goal every 72 minutes in the Bundesliga this season, as per Transfermarkt. Tall, strong and able to score any type of goal, he certainly has all of the attributes to be a Premier League success. Why should Chelsea sign him? They have missed Diego Costa’s presence up top this season, and while Giroud has done that well in recent weeks, he isn’t a long-term option there. While Lewandowski is 29 years of age, he would still be in the role longer than the Frenchman would be, and his brilliant goal record – he has 150 goals in 193 games for Bayern – mean that he would be a welcome addition up top for the Blues as they look to challenge for the Premier League title again. With just a year left on his contract, the west London outfit may also fancy their chances of picking the Poland international up for a reasonable fee, although they would likely need to get a deal over the line before the 2018 World Cup, where the centre-forward could shine for his country.